RUSTIC-Charm was formed in January 2014 when my wife and I saw an opportunity for personalised rustic favours after our own wedding in 2013. We had struggled to find exactly what we wanted for our wedding invites, favours and cake stand so decided to create our own. We received so many compliments and our friends and family started to ask us to make things for them. 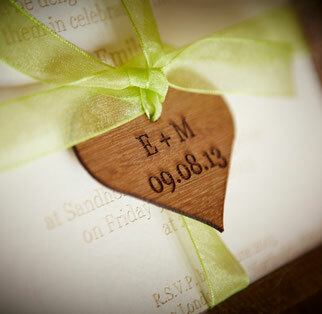 This included wedding favours and table decorations, gift tags and personalised presents. RUSTIC-Charm prides itself on high quality, personalised products. We are happy to accomate any specific requirements you have, as we understand how important it is to have exactly what you want for your special day.